Triad’s newest custom inwall powered subwoofer solution allows you to integrate full bass into your system, even if you only have 4″ of wall depth. 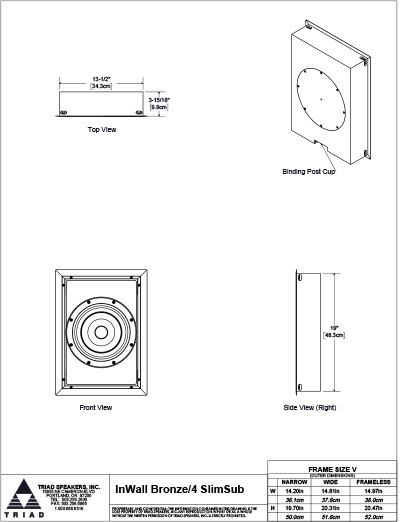 The InWall Bronze/4 SlimSub fits into a standard 4″ wall, and can be retrofitted as well as used in new construction. The flush Acoustiperf grill can be made to further blend into your environment with Triad’s exclusive paint matching program…we perfectly match your speakers to your wall color with the sample you provide. Unlike most inwall subwoofers, the InWall Bronze4/ SlimSub is a real performer. One InWall SlimSub provides great bass for music or smaller scale A/V systems and a second sub enclosure can be paired for additional output. Now you can have great bass in a small space, without big boxes on the floor or grills protruding from the wall. SlimSubs mate with the new 300-watt RackAmp 300 that provides simple”plug-and-play,” and EZ set-up. You can have great performance right out of the box in nearly any room. 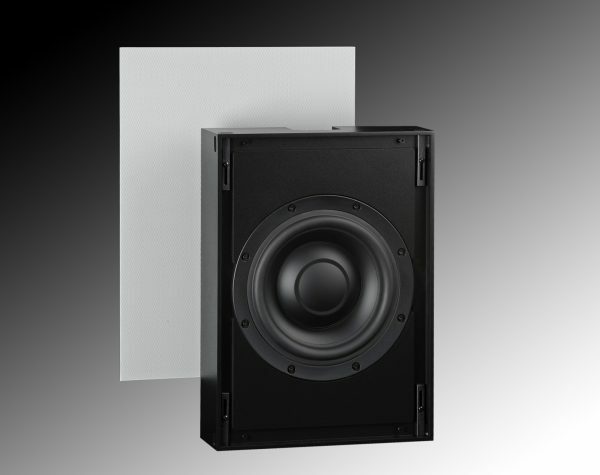 Triad has a custom subwoofer solution for virtually every application, with great performance as well as seamless integration into your decor.